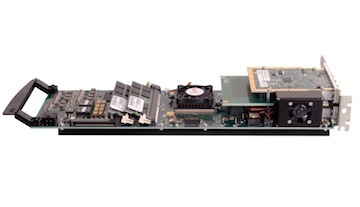 The PC7 family of FPGA carrier boards is DEG’s latest Xilinx-based product innovation. With the ability to host two FMCs (FPGA Mezzanine Cards) with rear panel I/O, the PC7 product line sets the benchmark for performance and versatility in the embedded PCIe market. Coupling this flexibility with a Xilinx Virtex-7 VX330T, VX485T, or VX690T FPGA, the PC7 enables multichannel high speed data acquisition and extensive digital signal processing all within a single PCIe slot. 100% Duty-Cycle Capture at 3Gsps! The PCE family of FPGA carrier boards meets the cost and performance demands of most applications. With the ability to host XMC, PMC,or FMC mezzanine cards, the PCE carrier sets the benchmark for versatility in the embedded PCI-Express market. 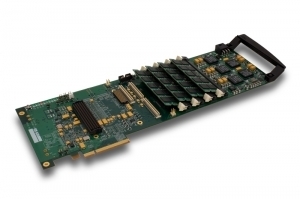 Coupling this flexibility with a Xilinx FPGA, the PCE family enables high-speed digital acquisition and extensive digital signal processing in a single PCIe slot.